You will find your professional, local guide waiting for you as you walk out of Bodrum Harbour, ready to take you over the mountain to visit Selcuk, the ancient city of Ephesus and the beautiful little Greek village of Sirince. Once one of the largest Roman cities of its day, Ephesus was home to more than 200,000 people and its ruins are still in excellent condition. Your guide will take you through the Odeon and the Temple of Hadrian, and along the main marble street to visit the latrines, before ending at the Library of Celsius with its beautifully restored double-story faÃ§ade. 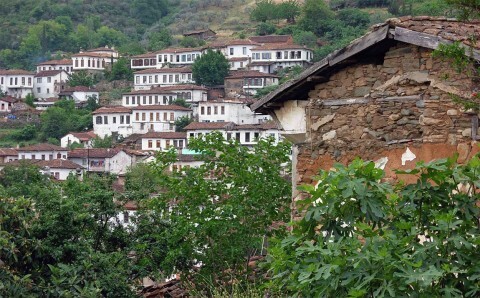 Just outside of town lies the small Greek Village of Sirince which translates as 'pleasant'. It was originally named Cirkince or 'ugly' by its inhabitants to deter others from visiting. Its houses, scattered across the hillside, date back to the 19th century and its small cobblestone streets are lined with markets selling local homemade goods. 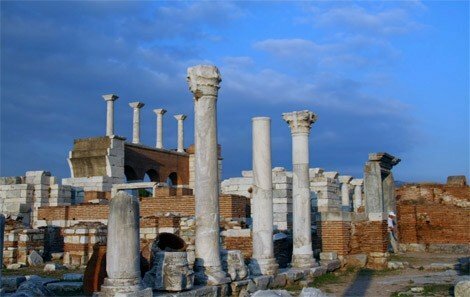 While a visit to the Terrace Houses section within the Ancient Ruins of Ephesus is not included, it is highly recommended and costs an additional 15 USD per person. "The houses of the rich Romans" is its oldest building, dating back to the 1st century BC, and offers an insight into the lives of those who once lived there. Marvel at the beautiful mosaics and frescoes, as well as the ancient engineering of the clay pipe water and heating systems. It takes a minimum of 30 minutes to visit and with more than 100 stairs, we do not recommend it for people with physical disabilities. This tour requires a bit of walking and we suggest you wear comfortable shoes or sport shoes. As it can be very hot in summer months, please bring sunscreen, sunglasses, hats and any other necessary sun gear with you.